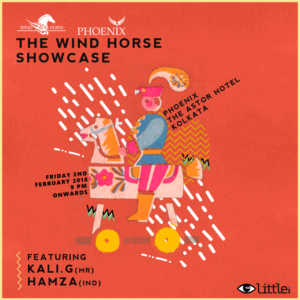 News : Wind Horse Records Showcase at Kolkata. 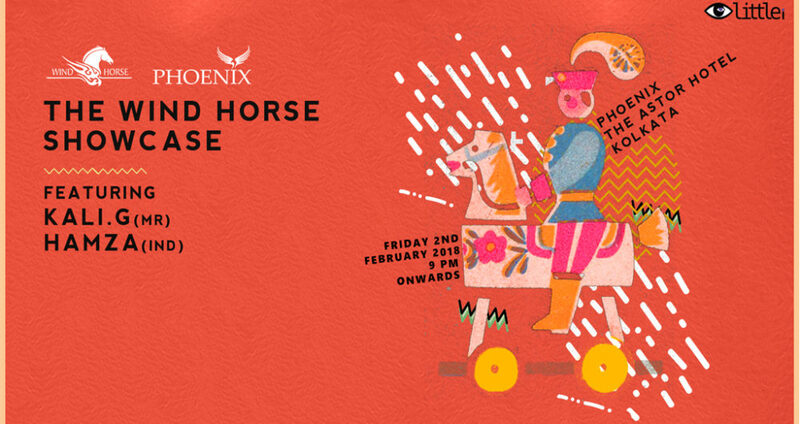 India’s first and most respected House & World Beats record label Wind Horse Records to host their first label showcase in Kolkata this February. 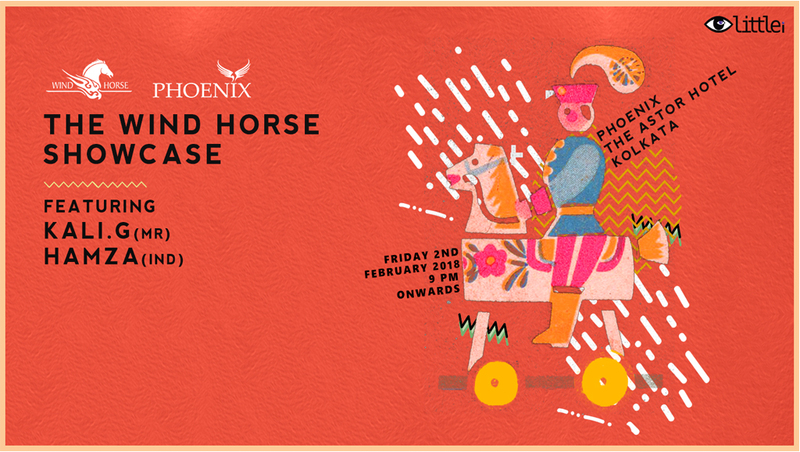 Event will be held in Phoenix Bar/ Club at Astor Hotel. This edition of Showcase will feature Kali. G from Morocco and the Wind Horse Records label boss Hamza. Khalil Belamallem, widely known as Kali.G, is flourishing as one of Morocco’s fastest rising star DJs. Born in Rabat, Morocco; Kali.G’s started his career more than a decade ago as the Resident DJ in Catedral Club Sevilla where he played alongside some of the world’s finest DJs: Michel Cleis, Chus, Behrouz, Satoshie Tomie, David Penn to name a few. Their influence helped him build his own style that can’t be easily defined: spiritual waves incorporating unique grooves and deep bass lines to Moroccan folklore samples and ethnic sounds. After several years in Sevilla, Khalil decided to move to Barcelona where he made his dream come true by studying at one of the most prestigious audio engineering schools (SAE institute). He then moved to Ibiza where he lived and enjoyed regularly playing on the white island for almost 3 years. Since beginning his career, Kali.G was given the opportunity to play in legendary music venues in Brazil, Spain, Switzerland, Greece, Portugal, EAU, Germany, Romania, France, Barcelona, Andalucía, and Morocco. Watching Kali.G playing is a pure show. Kali.G refuses to play a prepared playlist, he is a real artist who deeply enjoys taking risks during his always improvised sets by looping on his Cdjs and creating a magical atmosphere that takes the party to a whole other level. This is the reason behind his “The King of the loops” nickname. In the past few years, The King of the loops shared his sets with some of the most talented artists in the underground scene such as Subb-an , NITIN, Daniel Stefanik, Dana Ruh , Eddie Richards, Mathew Dekay, Davide Squillace , David Mayer, Andrew Grant and Villanova among others. After his first release with Desertica records in 2013, Kali.G developed an absolute bastion of goodness and positivity when it comes to releasing true electronic underground sound. Much of it is inspired by his upbringing, his roots, his travels and his personal experience.